In 79 AD an entire city vanished under ash and volcanic rock when Mount Vesuvius erupted. Some perished immediately in a flash burn; others were petrified and preserved for eternity. Through it all, a gladiator dared to defy Roman rule for vengeance, justice, and above all, love. Facing a terrifying force as the one Mount Vesuvius brought forth is unimaginable to me. Luckily, the writers of this movie have a better imagination than I do, because they did a great job of capturing this moment in history. Centered around the life of a slave gladiator, Pompeii plunges its audience into Roman society at the height of its reign. The hero, known as “The Celt” (played by Kit Harington, Game of Thrones), is a mysterious figure with a bloody past. When he encounters Cassia (Emily Browning, Sucker Punch), a connection is instantly formed that surpasses Roman classism and stands the test of time. I thought that the romance in the move was very tactfully played down in support of human decency and honor. There wasn’t too much of it that made me feel like the story was cheesy, and it wasn’t downplayed to the point where it was silly. There was a good balance in the film, mixed with exciting battle sequences in the arena, political strife, and awesome visuals on the day of destruction. I was curious as to how they’d make the eruption itself look – I was pretty fearful that it would be overdone like 300 or Immortals. But pleasantly, the visual effects weren’t too over-the-top, and the eruption incorporated plenty of elements (not just lava and ash) that could explain why relatively no one survived. Also, when the scenes cut from CG, it was seamless. One thing that annoys me is when a movie uses computer graphics and when it goes to a scene filmed on a set, the tone and lighting completely do not match. This wasn’t the case in this movie. The scenes were consistent and created an atmosphere that kept the audience immersed in the story line. Overall, I thought the movie was pretty good. Hearing comments from other viewers, it is safe for me to say that they did too. I would definitely recommend watching this movie to get your fill of action and history. 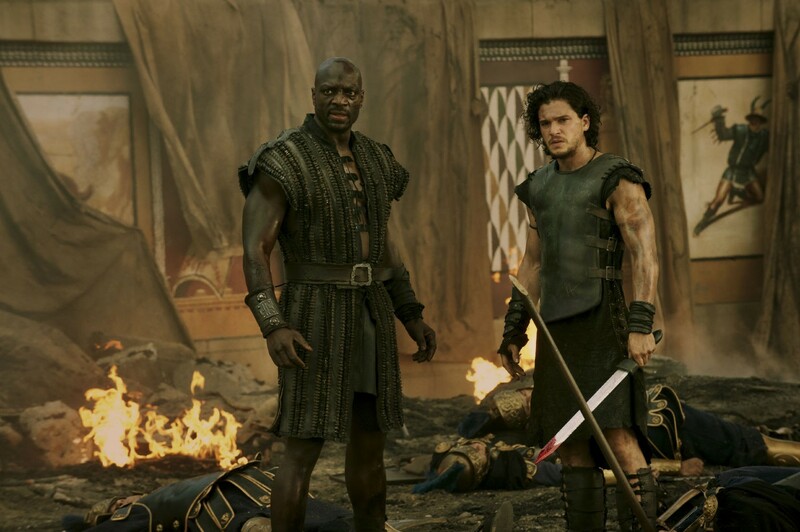 Pompeii releases in theaters on February 21st. Titanfall Bundle, Releases of the Week and more!